Based on the beloved Walt Disney classic film Mary Poppins comes this beautiful statue designed by folk cartoonist Miss Mindy! 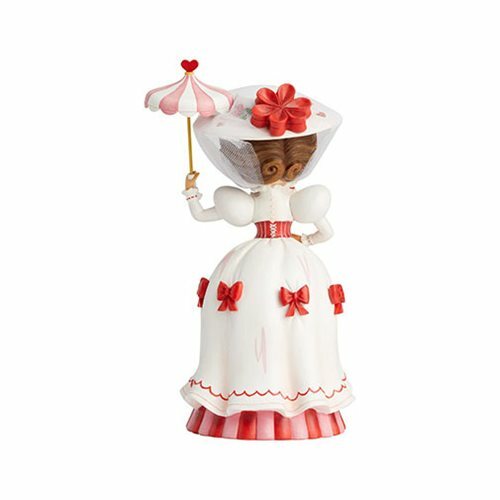 The Disney The World of Miss Mindy Mary Poppins Musical Statue is inspired by the animated dream sequence from the original classic film. The carousel scene inside Mary's dress lights up. 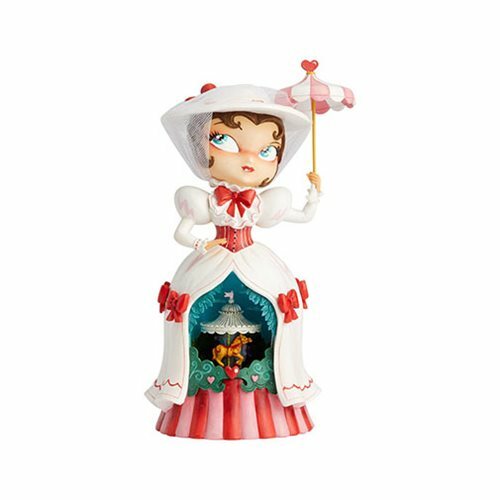 The stone resin statue has a wind-up musical feature that plays the "Jolly Holiday" tune from the movie. Requires 3x "LR44" batteries included. Requires 9 4/5-inches tall x 5 9/10-inches long x 4 7/10-inches wide.